Say what you want about Final Fantasy XIV (and I mean that: you can really say anything you want about it) but it's a very beautiful game. I played as a Lalafel healer for a couple of months, for the express purpose of exploring Eorzea, and I remember my encounters with the landscape more vividly than any particular quest. 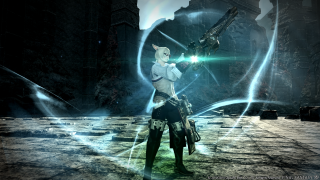 The above video tours all of the new regions in the Heavensward expansion, which is thematically different from any of the game's existing locales. Better still, you'll be able to explore it on flying mounts, if you want. A rundown of what the expansion will usher in is over here. Heavensward rolls out on June 23. Daniella Lucas made a good case for why you should visit Eorzea in this recent feature.